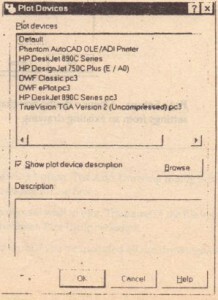 Positioning an AutoCAD drawing on the printer output is something of an art. Before you are faced with a deadline with hundreds of plots to produce, you may want to create some test plots and carefully refine your plotter settings so that you’ll have AutoCAD set up properly for those rush jobs. Part of the setup process will be to understand how your particular printer or plotter works. Each device has its own special characteristics, so a detailed description of printer hardware setup is beyond the scope of this section. However, you will learn about a few guidelines that will make the process easier. 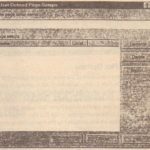 If you’re familiar with a word-processing or desktop-publishing program, you know that you can set the margins of a page, thereby telling the program exactly how far from each edge of the paper you want the text to appear. With AutoCAD, you don’t have that luxury. 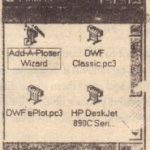 To accurately place a plot on your paper, you must know the plotter’s wizard clip limits. 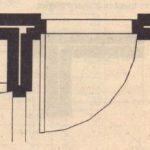 The hard clip limits are like built-in margins, beyond which the plotter will not plot. These limits vary from plotter to plotter (see Figure 7.12). It’s crucial that you know your printer or plotter’s hard clip limits in order to place your drawings accurately on the sheet. Take some time to study your plotter manual and find out exactly what these limits are. Then make a record of them and store it somewhere, in case you or someone else needs to for at a sheet in a special Way. Hard clip limits for printers often depend on the software that drives them. You may need to consult your printer manual, or use the trial-and-error method of plotting several samples to see how they come out. Once you’ve established the limits of your plotter or printer, you’ll be better equipped to fit your drawing within those limits. You can then establish some standard drawing limits based on your plotter’S limits. You also need to know the dimensions of those hard clip limits to define custom sheet sizes. 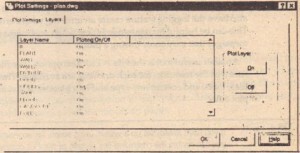 While AutoCAD offers standard sheet sizes in the Paper Size and Orientation button group of the Plot Configuration dialog box, these sizes do not take into account the hard clip limits. Another important consideration is the location of your plotter’s origin. 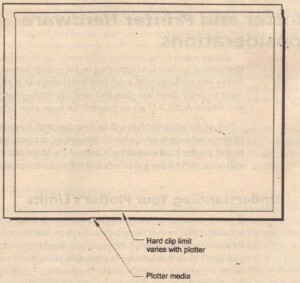 For example, on some plotters, the lower-left corner of the plot area is used. as the origin. 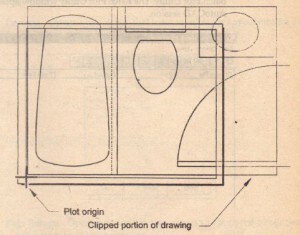 Other plotters use the center of the plot area as the origin. When you plot a drawing that is too large to fit the sheet on a plotter that uses a corner for the origin, the image is pushed toward the top and to the right of the sheet (see Figure 7.13). When you plot a drawing that is too large to fit on a plotter that uses the center of the paper as the origin, the image is pushed outward in all directions from the center of the sheet. In each situation, the origin determines a point of reference from which you can relate your drawing in the computer to the physical output. 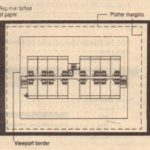 Once you understand this, you’re better equipped to accurately place your electronic drawing on the physical media. 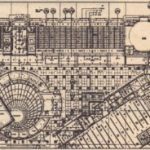 AutoCAD 2000 includes a tool that enables you to plot several unattended drawings at once. This can be helpful when you’ve finished a set of drawings and would like to plot them during a break or overnight. Here’s how to use the Batch Plot utility. 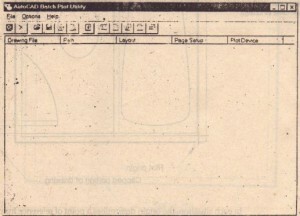 From the Windows Desktop, choose Start > Programs > AutoCAD 2000 > Batch Plot Utility. The Batch Plot Utility window appears, along with an AutoCAD session. 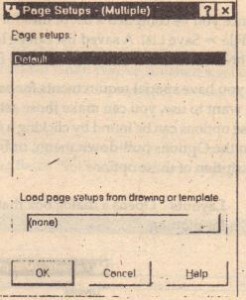 Click the Add Drawing button. 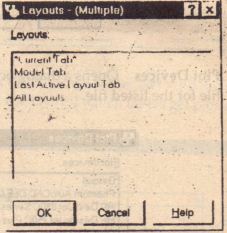 The Add Drawing dialog box appears. This is a typical Windows file dialog box. Locate and select a file you wish to plot.The name of the file you select appears in the list box of the Batch Plot Utility window. Repeat steps 2 and 3 until you’ve included all the drawings you wish to plot in your list. Choose File >– Plot to plot the list of files. Once you’ve compiled a list of files for plotting, you can save the list by selecting File > Save List. A saved list can be-later opened using the File> Open List option. The filename will have the .BP3 file extension. 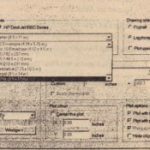 If you have special requirements for each file, such as a special plotter or layout you want to use, you can make those settings and save them along with the list. These options can be found by clicking a drawing name then selecting the option from the Options pull-down menu, or by right-clicking a listed file. Here is a description those options. Layouts Opens a dialog box that lets you select the Layout tabs for a file for plotting. Plot Devices Opens a dialog box that lets you select a plot configuration file for the listed file. 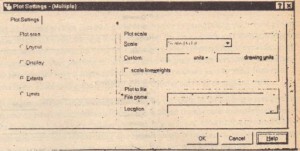 Plot Settings Opens a dialog box that lets you select the plot area, the scale and whether or not you want to plot to a file. If you wish to’maintain a log of the.plots you create with the Batch Plot Utility, you can do so by choosing File > Logging. 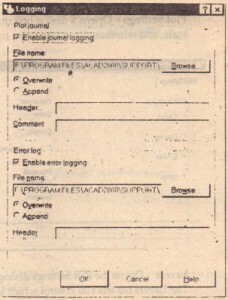 The Logging dialog’box appears, offering options for the log file location and a description for the log. A log file can be useful if you intend to send plot files to a remote site. You can also have the logging feature create an error log where error messages are stored. This can be helpful for unattended plots when you might otherwise miss error messages that may occur during a plot. Another useful tool is the File > Plot Test option. The Plot Test checks to make sure that the resources for each drawing are available. The resources include Xref files, fonts, and custom line-type and hatch patterns that are required .to open or plot a file. Using a plotting service can be a good alternative to purchasing your own plotter. Or you might consider using a low-cost plotter for check plots and then sending the files to a service bureau for your final product. Most reprographic services, such . as blue printers, offer plotting in conjunction with their other services. Quite.often these services include a high-speed modem that allows you to send files over phone lines, eliminating the need for using courier services or regular mail. If you foresee the need for service bureaus, consider establishing a relationship with one or two service bureaus fairly early. Send them some sample plot files to make sure that they will produce the results you want. One of the greatest difficulties you may face while using a service bureau is miscommunication between what you want and what they provide in the way of plotter output. 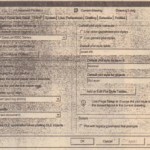 You may be able to make use of the PC3 and other plotter setting files as part of your relationship with a service bureau. Plot configuration files and plot style table files can help communicate exactly what you’re expecting from your plots. At this point, since you aren’t rushing to meet a deadline, you may want to experiment with some of the plotter and printer variables and see firsthand what each one does. Try plotting the Plan-color dwg and Plan-named. dwg files using the plot style that , you created earlier in this chapter. Also, try changing other plot style table options to see the results on paper.